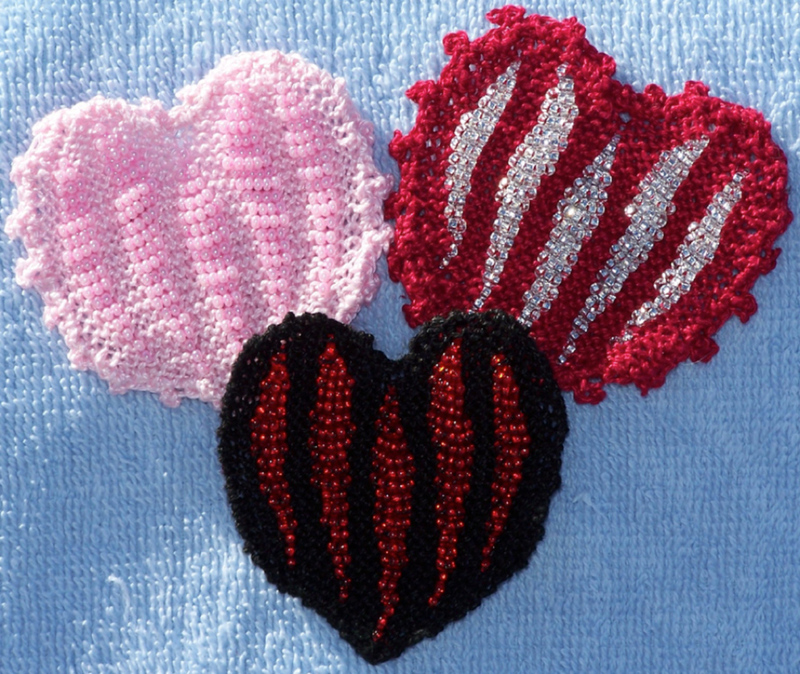 This 1-1/2" beaded heart is a joy to knit! It makes a great embellishment to a lapel or necklace, or make two for a pendant bag! One size. Kit Includes pattern, plenty of Finca perle cotton (100% cotton) in colors black, pink and red, and seed beads in colors red, pink and white to complete 3 hearts. Size 0000 needles not included.